Saying Goa Beaches are world renowned would be stating the obvious. Sandwiched between the Western Ghats and the Arabian Sea, the tiny emerald of Goa is one of the top beach destinations in India. A sliver of state with coastline stretching along about 125 kilometers long, Goa is rightly dubbed by several national and international travelers have termed it as the “Indian Caribbean”. 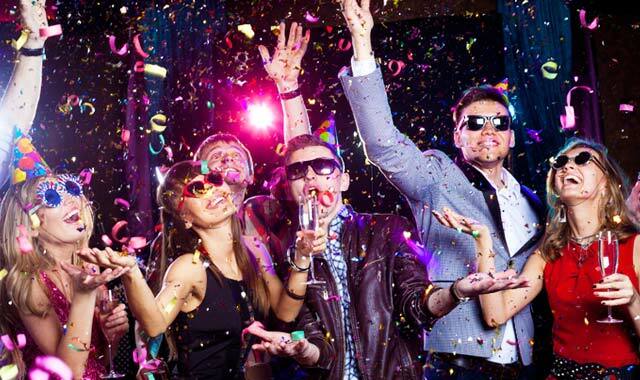 For the fussy travelers, there are beaches in Goa which are stretches of sand and then there are those which are jam packed with party scenes, flea markets, upscale nightclubs and bars and everything that would charm any sybarite. 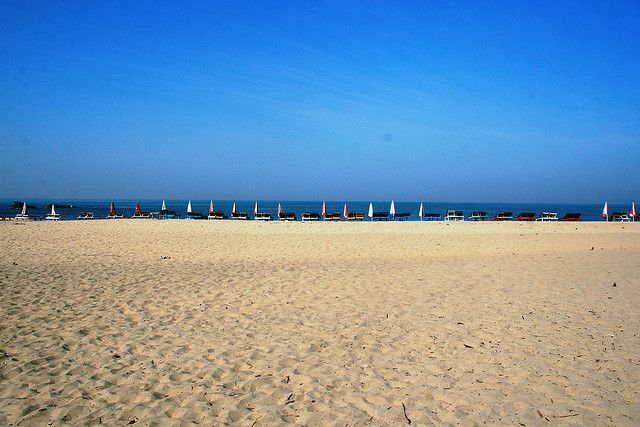 We bring to you the list of the best beaches in Goa collection of which offer something for everyone. So be it luxury resort or a beach shack, tranquility to electronic and trance, whatever you might be looking for read long and find the beach that will fulfill your need. Beaches of Goa are generally segregated as North Goa beaches and South Goa Beaches. 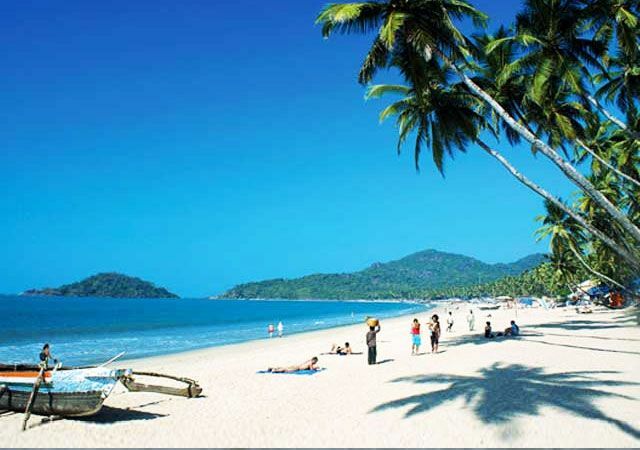 We start off with the South Goa beaches and what to expect in each one of these beaches. A calm stretch of clean golden sandy beach,Cansaulim beach is one of the best beaches in South Goa for tourists who love seclusion and for those looking to spend a wonderful honeymoon in Goa. Around 15 km from Margao, this beach is ideal for swimming, long romantic walks and to simply laze around. Abundant palm groves along the shore form a lovely sight. Along with Arossim beach and Cuelim beach. 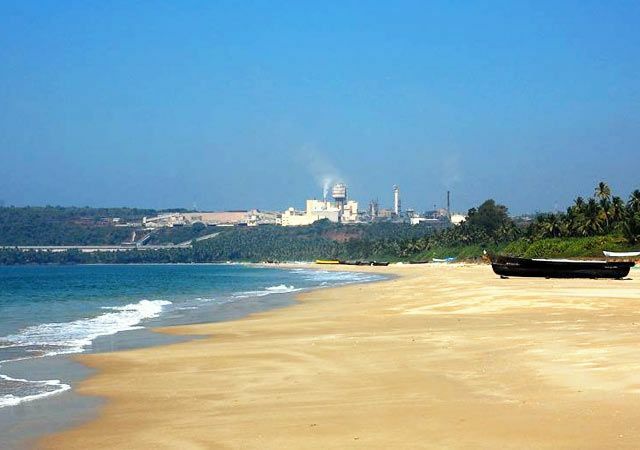 Cansaulim beach forms the second largest stretch of beach in India. Also known as the Sunset beach, Betalbatim beach is one of the best beaches in Goa where one can savor memorable sunset views. The beach is close to the church of St Thomas, one of the popular churches in Goa. 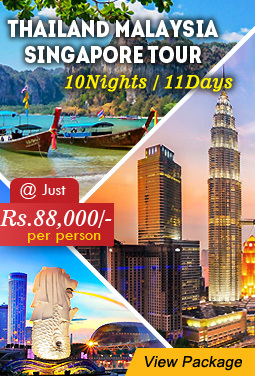 The clean golden sand and coconut palms on the fringe give a refreshing feel. Once at the beach, do not forget to partake in dolphin spotting. Though it is a slightly smaller beach but it surely is a beautiful one. This less-crowded beach in South Goa is a must-visit. A long stretch of largely empty sand, peppered with a few beach shacks and water-sports enthusiasts, the beaches of Benaulim and nearby Sernabatim are much quieter than Colva, partly because the village is a good kilometre back from the beach and linked by several laneways. Beach for the fishermen- Betul, in the southern part of Goa is a tiny picturesque beach that stays aloof from the being crowded nature of Goa. It has the river Sal to wash its silver sand coastline, parts of which get shaded by abundant coconut palms and fruit trees. 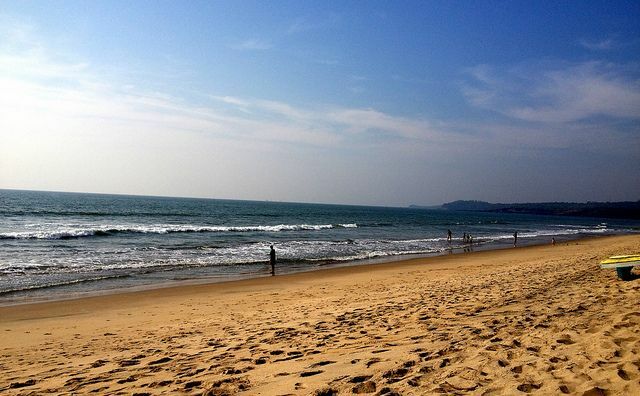 Unlike the other beaches of Goa, Betul is famous for its unspoiled and cool environs. Being a fishing beach, tourists and locals are often seen getting indulged in this activity. Like fresh fishes, one can also enjoy delectable cuisines of Mussels, for they get drifted on its banks in large numbers. Little away from Betul is the Canaguinim beach, which like the former is also renowned for offering a calm and pristine beach environment. Canaguinim is primarily divided into two-North and South Canaguinim. Despite being demarcated as two, both the sides flaunts a common beach picture; golden sandy texture with a shore that gets continuously washed by the waves of the Arabian sea and lush green vegetation in the backdrop. Canaguinim stays highly remote and is very much suitable for tourists looking for a complete solitude. Agonda’s beach is simply divine; wide, quiet and picturesque, with a turtle centre in the middle protecting precious Olive Ridley eggs. Amongst the picturesque spots in Goa, Agonda beach holds a primitive spot. The beach is just perfect if you are looking for a relaxed time that includes sunbathing and swimming as well. However, the currents at Agonda beach stays strong, which clearly states the possibilities of entering the waters with a surf board. Agonda is long and lonely, but it encapsulates the romantic side of Goa within itself. 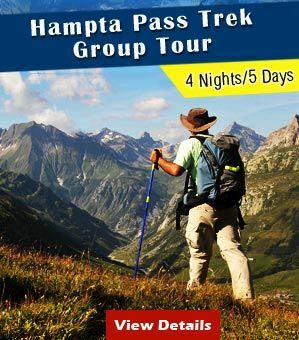 This can be best experienced while taking a sunset stroll on its sandy soil. 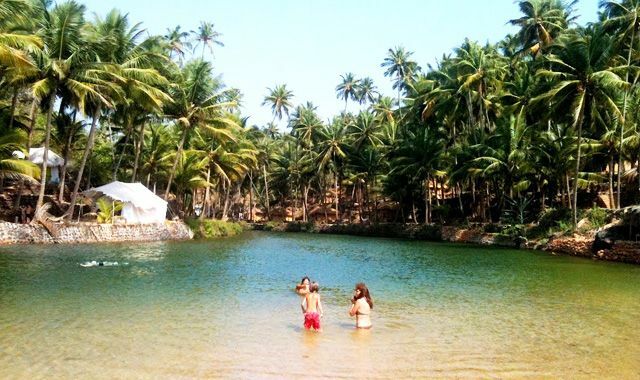 The Blue Lagoon at Cola Beach is a quiet paradise on one of Goa’s most beautiful undiscovered beaches near Agonda and Palolem. An exceptional escapade of South Goa, Cola beach is an inhibited location that sports a lush cover of palm trees, a sparkling blue lagoon and the lovely expanse of Arabian Sea right in front of it. Away from the hustle and bustle of Goa, the beach with its blissful atmosphere offers one of the best tranquil holiday experiences. In order to make the best of your beach trip, do make your stay at the specially designed luxurious Rajasthani tents, which are amongst the prominent man made attractions at Cola beach. Named after the huge turnover of butterflies during the blooming days of a nearby hill, Butterfly beach is a highly beautiful spot in the southern part of Goa. The whole of the beach stays in an isolated location and is best known to be accessed via boat. 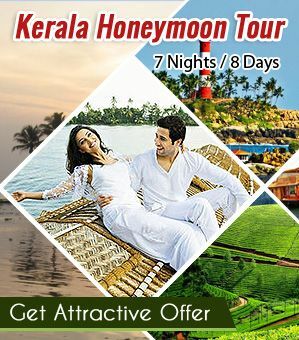 It has a tiny perfect stretch of white sand that gets picturesquely coupled with lush vegetation near its banks and translucent watery shore. 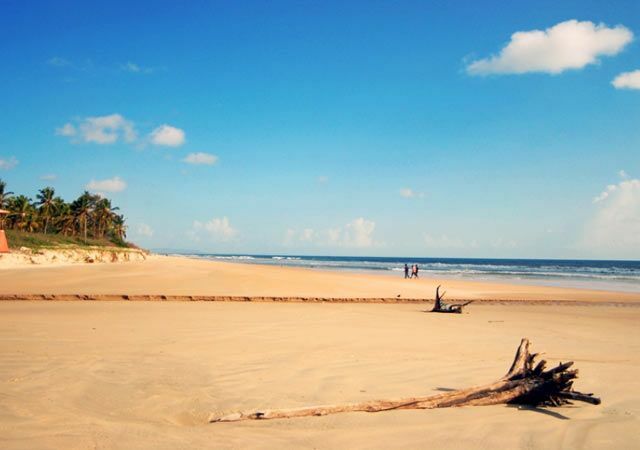 Also known as Querim Beach, Keri beach is ideal for those looking for some solitude and tranquil time. There are only a few restaurant and it is much more quitter than its sister beaches. One can walk to this beach from the neighboring more popular Arambol beach. Keri is the first beach of Goa starting north. Today’s Arambol is to Goa is what Anjuna was to hippies in 1980s. This new haven and one of the few secluded beaches in Goa was once a small fishing village. You are likely to meet more foreigners at this relaxed beach than Indians. The music is not loud although nightlife is vibrant. Then there are plenty of alternative therapies available here in Arambol for those looking to reclaim the harmony of body, mind and soul. For thrill seekers plenty of water sports activities along with dolphin sighting rides are available here. The cliff near the shore also make it a great place for paragliding in Goa. Lying in the close vicinity of Mandrem beach, Morjim is yet another of the secluded North Goa beaches. Just like its neighbor Mandrem, you’ll find yoga & spirituality to be the order of the day in here. The beach here is famous for protection of Olive Ridley Turtles and also of a large settled Russian population thus giving it the nick name mini-Russia. One of the best kept secrets of North Goa, Mandrem is the beach you should head to if you are looking for quitter moments amidst clean sandy beach and gentle crashing of the waves. At Mandrem Beach in North Goa, you’d find yoga and meditation are the orders of the day. 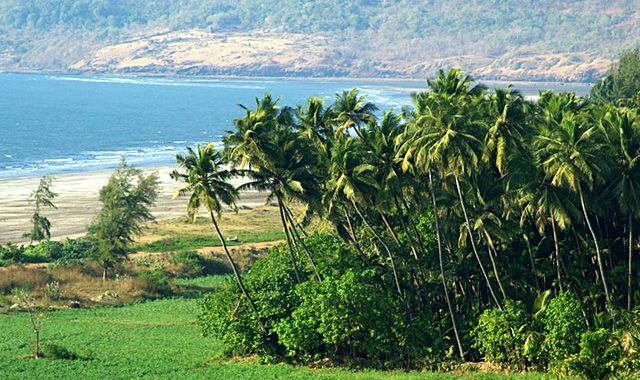 Located north of Anjuna, Vagator with its series of cliffs and lush greenery is one of the mosy idyllic beaches of Goa. Located at the bottom of steep cliff, the beaches here are mostly forgettable but it is the natural setting of this place that makes it the center of the Goan trance parties. 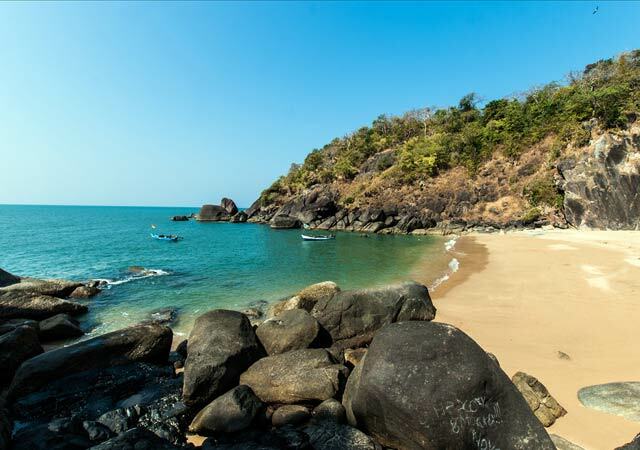 Golden sand washed by azure waves of Arabian Sea and secluded locality makes Chapora one of the few isolated but a must visit beaches in Goa to lay down and relax. Read all the books that you want to here by the beach and you won’t be disturbed. Of all the Goa beaches Anjuna deserves a special mention. It was here that the hippies first arrived in Goa in 1980s. It was Anjuna which put Goa on the international map as one of the finest beach destination. 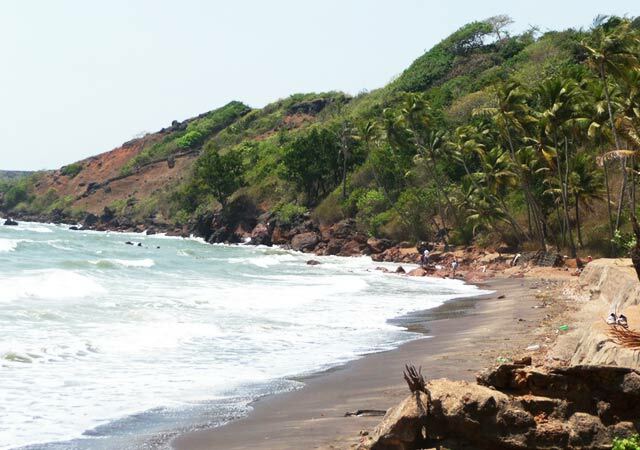 This special beach is located 8 kilometers to the west of Mapusa, North Goa. 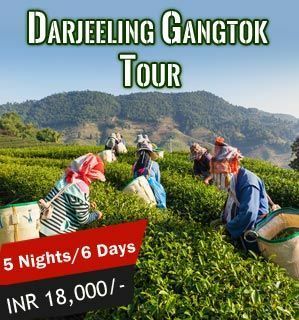 It is 18 kilometers away from Panaji and is located in Bardez taluka. 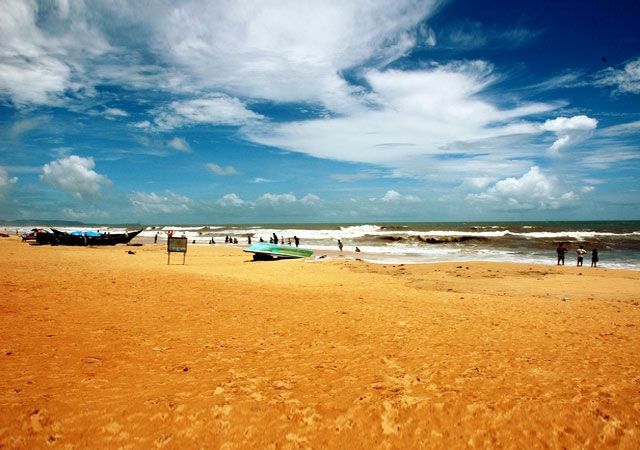 This beach is 30 kilometers long and forms part of the Goa coastline bordering the Arabian Sea. The specialty of Anjuna beach lies in its flea market, Chapora Fort. 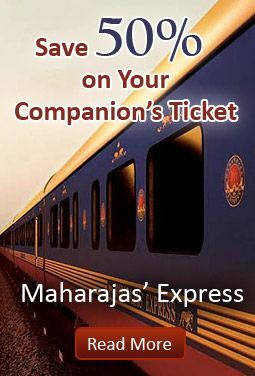 The ideal time to visit the place is from November to March. Travelers to the place visit the quaint village of Anjuna. The village occupies an area of 5 square miles. It is sandwiched between a hill and the Arabian Sea. The picturesque locale has made it popular among hippies. Name a thing or an activity and it is more likely that it is at Calingute beach that you going to find it if anywhere in Goa. 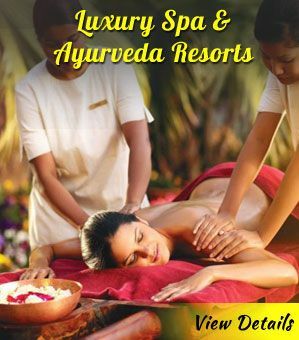 From massages, alternative therapies & medicines, water sports and adventure activities, everything is handy and very close to the beach. 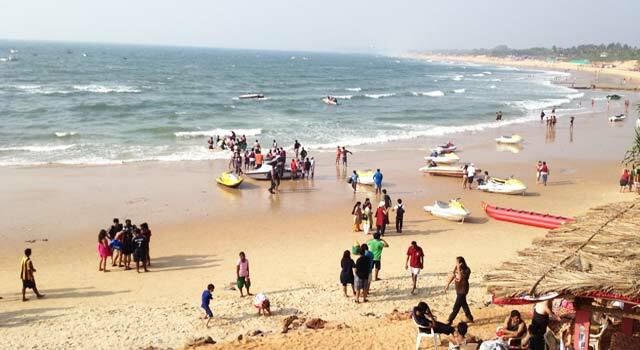 The stretched unperturbed beach of Candolim is an upscale place with an array of resorts and shops offering all king of services. With its vibrant nightlife and happening bars and restaurant which come alive as the sun goes down, Candolim beach is a favored preserve of package tourists from Russia and United Kingdom who come looking for long term stay here every season. The beach itself is lined with bars and shacks and you’ll find row upon row of foreign visitors tanning themselves on sunbeds. This elongated stretch or rather relaxed beach is a great substitute for maddeningly crowded and noisy Baga and Calingute beach. Lined with shacks and bar, Sinquerim is ideal to indulge in a range of water sports activities and having fun time with friends. It is the first beach that you’ll hit when you cross the Mandovi river coming from Panaji. 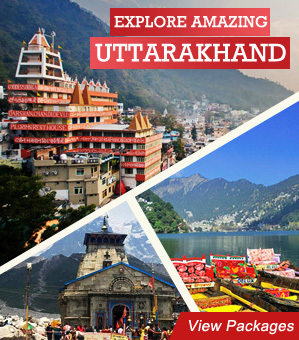 There are several restaurant which offer range of cuisines as well as chilled drinks. Located a kilometer away from confluence of Mondovi River and the Arabian Sea, Miramar Beach is a favorite among locals as well as domestic visitors. 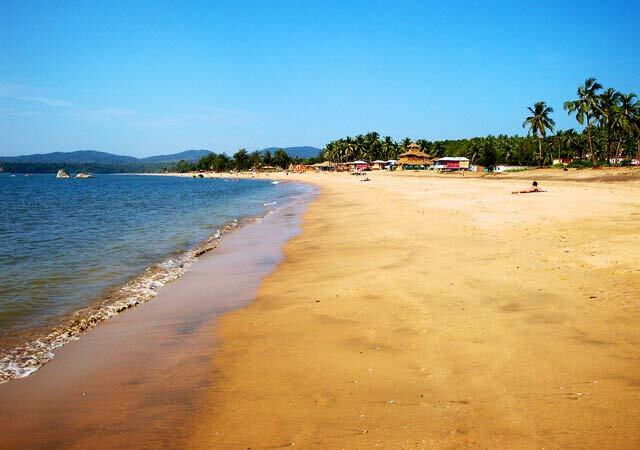 With silvery sand bed stretching for over 2 kilometer, this beach is lines with a number of shacks and bar where one could gorge on local Goan cuisine and relax over drinks. The beach is in close proximity to a number of plush hotels in Goa as well as several budget accommodation making it a popular places to stay in Goa. With its golden seashore and lush palm-fringed surrounding is one of the quitter beaches in Goa. With an array of plush hotels located nearby – Cidade De Goa being the biggest of them – and plenty of water sports activities on the offering, Vainguinim is one of the better and quieter Goa beaches where one could choose to stay and relax. Remember the famous tongue twister you were asked to say out loud when you were a kid? ‘She sells seashells on the sea shore.’ Well we are not saying that it originated here but for all we know it might have. Siridao beach is a seashell collector’s paradise. This lesser visited and one of the secret Goa beaches is ideal for loners, experience seekers and fun lovers as well. Siridao beach a bit rocky but it is more famous for mysterious caves, chapels and some beautiful Portuguese architectures.